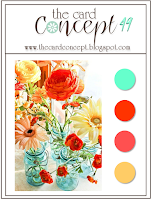 This is my card for this week's Muse challenge. I was also inspired by the Floral Radiance photo for this week's Card Concept Challenge. AN impressive card and great take on your inspiration piece. Your CAS cards are always an inspiration! Thanks for playing along with us at The Card Concept! 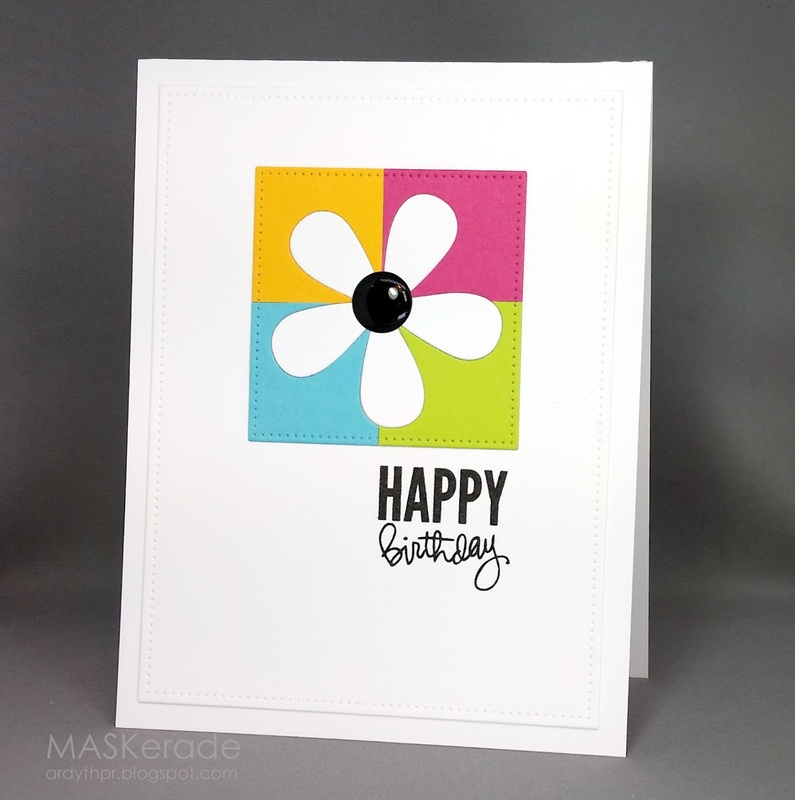 Love this bright and cheerful CAS card! Thanks for joining us at The Card Concept! Love this beauty! You are always so inspirational. Gorgeous colour blocking and I love your translation of my Muse card. Oh, this is so pretty and fun! I love the graphic feel to it! LOVE IT! Great choice of colors. Fabulous pop of black in the center of the flower which totally draws the eye straight to the flower! Great color blocking, fabulous take on the two challenges. Ah, this is a perfect "Ardyth" card! :-) To me, your cards are so restful - simplicity at its best. Love the vibrant color blocking Ardyth, this is so pretty!! You always make the most stunning CAS cards, Ardyth!!!! Such a pleasure to come visit here!!!! This is a another winner!!! Sweet birthday card...love your wonderful design. [insert wave - its been awhile since I stopped by :(] Awesome color blocking - I do love your Muse cards - so different, but I know what inspired you. I love EVERYTHING about this card! It's pefect! Love your fabulous crisp & clean design! Thank you for playing along with The Card Concept this week! Simple, sweet and clever Ardyth! The complete tri-fector! Oh so pretty! Love the little blocks! Thanks so much for playing along with us at the Card Concept.